Dr. Swan is a psychic and highly attuned cosmologist, mentor and healer, known as the go-to person for physical, mental, spiritual, emotional and energetic problems when all else has failed. With a Ph.D. in metaphysics she creates potent change and lasting results. She clears, heals and realigns, saving and transforming lives and is one of the world's leading experts on karma. She was given 3 months to live 17 years ago when master healer/teacher Yeshua appeared at her death-bed instructing her to clear seals on realms of secret knowledge. Thereafter she spent 12 years in almost total seclusion learning sacred knowledge and healing from Yeshua. Swan has presented, been healer to and worked with many leaders and celebrities and is best-selling author of The Book of Sahra, Jesus' Secret Wife. With over 30 years' experience in the healing arts, an M.A. in Spiritual Philosophy and a Ph.D. in Metaphysics and The Healing Arts from an American Inter-faith Seminary, she can move energy and navigate dimensions and realms that others cannot reach, far beyond the bounds of this world. 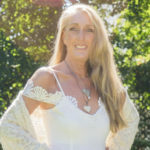 As a psychic and highly attuned cosmologist, mentor and healer she works with private clients and groups and is the go-to person for physical, mental, spiritual, emotional and energetic problems when all else has failed or continued to disappoint. She conveys messages from The Divine Goddess and Yeshua whilst aligning, clearing, healing and transforming creating potent change and lasting results. When 17 years ago Swan was given 3 months to live, the master healer/teacher Yeshua appeared at her death-bed and instructed her to clear seals on realms of secret knowledge. Thereafter she spent 12 years in almost total seclusion whilst learning sacred knowledge and healing from great ascended masters and writing the quartet "The Book of Sahra, Jesus' Secret Wife" (under the nom-de-plume Sahra Renata). Swan is also author of a book of mystical poetry, "Caviar for the Soul"and has presented, worked with and mentored many leading international thought-leaders and celebrities, such as: Prof. Ervin Laszlo, Dr. Eben Alexander, Dr. Raymond Moody, Lynne McTaggart, Dr. Jude Currivan, Dr. David Hawkins, Michael Beckwith (Agape Church, Los Angeles), Steven Sadleir (Self-Realisation Institute). She prepared Kane Minkus and Jeff Slayter, (Industry Rockstar Directors) to share the stage with Bob Proctor (The Secret), John de Martini, T. Harv Ekker, John De Martini and Sir Richard Branson, and has taught, healed or presented with Sinead O’Connor, Deva Premal & Miten, Craig Pruess & Jill Purce. Swan is former UK President of The Club of Budapest of which she is also an honorary Creative Member. People reach out to Dr. Swan from all over the world for her teachings and life-changing healing and transformational work. She works remotely and is available by Skype and phone. Amazon Bestseller for "The Book of Sahra, Jesus's Secret Wife" under pen-name Sahra Renata. Featured in "In The Spirit of Abundance" (as Sahra Renata) by Sandy Forster with Jack Canfield, Mark Victor Hansen, Brian Tracey and Arielle Ford. Featured in “How Do You Pray" by Celeste Yacoboni, with Marianne Williamson, Andrew Harvey, Arun Ghandi, Matthew Fox, Lama Surya Das, Father Bede Griffiths, Byron Katie, Dan Millman. The Sacred World Renaissance, creating a new global paradigm of harmonious living, enlightened business practice, care for the environment and our world family, helping people internationally align to the New Divine frequencies through healing transmissions and realigning consciousness for individuals and groups.